I am thrilled to have talented mystery author Merry Jones here at the Dark Dimensions today. 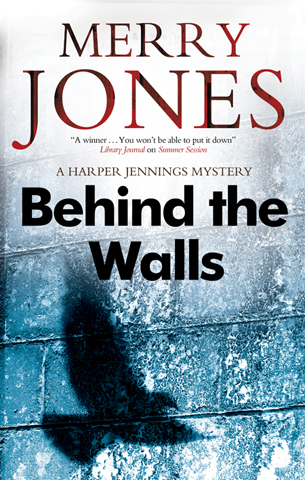 Behind the Walls, the second novel in her Harper Jennings series is out now and available here. Read on for my interview with her. 1. What was the inspiration of Behind the Walls? Behind the Walls is the second in a series (sequel to SUMMER SESSION). Because the heroine, Harper Jennings, is an archeology grad student, I wanted to center the thriller on crimes related to artifacts. In the process of researching pre-Columbian artifacts, I found out about the ancient belief in shapeshifters, or Nahuals. And the plot took shape. Could these creatures exist? Do they protect the artifacts of their cultures? 2. What parts of the novel were the most fun to write? The most fun for me were the parts where the characters question what they know. It’s not possible, say, for a shapeshifter to exist. And yet, here is evidence. But that’s the fun of thrillers and mysteries: what characters (and sometimes the reader) is certain to be true is not always true. Things aren’t what they seem. It’s difficult to know what/whom to trust. That’s where the tension comes from. 3. What draws you to the mystery genre? Do you feel they are the same things that draw the rest of us? Life is mystery. None of us know what will happen next. The story unfolds with varying degrees of suspense. The mysteries we read are traditionally reassuring, though, because they follow a pattern in which good prevails. Evil/danger/threat are always around, but in the end order is restored; even though there are victims, life goes on. I see mystery/thriller as a microcosm of reality. 4. What was the most challenging part of writing the story of Behind the Walls? Research. I had to study a lot of diverse topics, including pre-Columbian culture, legends,relics and symbolism; the practice of honor killings; our government’s investments in the Iraq war; post traumatic stress disorder; silent film-making in Ithaca New York. I learned a lot. For example, pre-Columbians thought butterflies were the souls of dead warriors, and toads were the fathers of royalty. And shapeshifters protected their communities. 5. Who are some authors that have inspired you along the way? So many. Sue Miller. Joy Fielding. 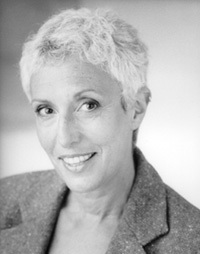 Faye Kellerman. Dennis Tafoya. Joyce Carol Oates. Mark Twain. And on and on. 6. Having been both traditionally published and last year endeavoring into indie publishing, what would you say are the pros and cons for each path? That’s a big question. Traditional publishing offers an advance, which is nice. And they handle distribution. And you don’t have to worry about all the details of the publishing process–you get an editor, a copy editor, a cover designer. Copies are sent out for review–you don’t have to do that by yourself. You have a team devoted to your book and its success. They will decide whether your book is hardback or paper, whether it becomes an ebook. Even with your team, when the book is out, you have to do most of the promotion on your own. With self-publishing, you’re the head honcho. If you need editing or copyediting, you need to hire someone. You get no advance; in fact you pay for the whole process yourself. You might need someone to help you format the text–a different format for each ebook outlet and for print on demand. You upload the formatted text onto Kindle, Nook, Smashwords, Googlebooks–whatever ebook outlets you want and whichever print on demand company you go with. You get your ISBN number, and pay for it. You get a cover designer and pay for it. There are companies that sell “packages,” who will help you by doing the formatting and uploading, etc, or you can hire specialists each step of the way. Very few of us have the skills to do it all alone. When the books is done, you have to send copies out for reviews and do your own promotion. You have to try to get printed copies into stores. With self-publishing, you have a lot more freedom, but a lot more tedium, too. 7. What is a little known fact about you that readers of your work and fans of this blog may like to know? I’m an avid sculler. Maybe that’s not interesting. Maybe it’s more interesting that when I was a child, my friends and I used to play dead. The winner was the one who lay still the longest, without making a sound. Hmmm. This week, I’m delighted to have editors of the quarterly anthology One Buck Horror here at the Dark Dimensions. Read below to hear about their influences, the future, and some insight into the world of anthology editors. 1. How did One Buck Horror come into being? We’ve both been lifelong avid readers and horror fans. Chris is also a writer himself. 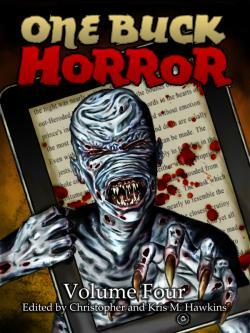 Ebooks presented an opportunity to pull all those interests together and bring short horror fiction to a broad audience. Really, we just decided to put together an anthology that we would want to read ourselves, and the rest just fell into place. 2. What are some anthologies and magazines that have inspired both of you? When we were younger, we both really enjoyed the Alfred Hitchcock Presents anthologies, and we try to capture the same sense of macabre fun that they had in our own books. The original Twilight Zone TV series made a huge impact on us both as well. 3. What’s on the agenda for One Buck Horror over 2012? Well, so far we’re on track to do at least four new issues in 2012. We have some other ideas we’re excited about and interested in pursuing, but they’ll depend in large part on how many readers we have as the year goes on. But so far, the future’s looking really bright! 4. What is the most important thing an author should know before submitting? We’re very selective about what we publish. Our acceptance rate is only around 2%, so if you submit to us, definitely bring your “A” game. Make sure your stories are well-written, and your characters are strong. And above all, be scary! 5. What is the best part about editing One Buck Horror? The best part has been helping to find an audience for a truly deserving group of writers. We’ve worked with new writers and bestselling authors alike, and every one of them has written something special that we’re proud to have published. They’re a great group of people, too, and they’ve been fantastic to work with. 6. What do you think makes a story stand out among all the others? We look for stories that are effectively written and scary. Beyond that, we want stories that surprise us on some level, whether that’s with a completely original concept, a new take on a familiar idea, or a twist that we just don’t see coming. If you can send us something that covers all those bases, you have a good chance of getting accepted. 7. What is a small little known fact about you that fans of yours and readers of this blog may like to know? It probably comes as no surprise that Halloween is our favorite holiday, but what most people do not know is that we actually met at a Halloween party. Chris was dressed as a wizard. Kris was wearing a sari. Our choices in costumes probably say something about us as individuals, but we’ll leave that open for speculation. Many thanks to the both of you for taking the time to hang out in the Dark Dimensions. I look forward to the next volume of One Buck Horror!